The winner and runner-ups of World Mayor 2012 will be chosen based on the number of nominations in relation to the size of their cities and, more importantly, on the persuasiveness and conviction of testimonials received during this year's World Mayor Project. Below we publish a selection of comments received to date about WM nominee R T Ryback, Mayor of Minneapolis, USA. 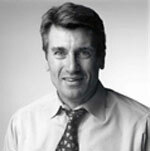 Comment: RT Rybak is a remarkable mayor. To quote the City Pages: "Since 2001, the city has paid down $183 million in debt. Homicides and violent crime have dropped to levels not seen since the '80s. The city's image with accolades for everything from bike friendliness to tech savvy has gotten a significant boost." But more notiable - he is a man that is amongst the people in every sense. He goes to the hositpal to visit the unfortnately boy fatally wounded from gang violence. He actually bikes around the city and attends PRIDE & Special Olymics events - showing that not only does he support gay rights, green initiatives, developmentally disabled, the poor . . . he lives his life by these standards. He is one of the first people you will see when a tragic or joyful event that occurs in the city. Comment: It would be a cruel joke to name Rybak a world mayor or give him any award at all. He has corrupted the city charter by ignoring it (on amount of money spent on stadiums -- passed by overwhelming majority of voters only to have him beg state legislature to allow him to ignore it), put taxpayers into severe debt for pro sports projects, brought cynism and VOTER TURNOUT to an all-time low here, ignored all financial realities by gambling away our childrens' future for two pro sports facilities, participated in secret meetings on the largest taxpayer bailout in state history, sanctioned the DRE drug program, ignored the city's largest polluted and blighted spots, foisted polluting industry upon us, done away with our world-renowned, award-winning citizen engagement program (won an award from the U.N.), continued an abusive police department, played cronyism to the hilt, spent too much time out of the city, ignoring our issues as he ran for governor (unsuccessfully). We have one of the nation's widest, if not the widest, achievement gaps between black/non-black, and poorest levels of employment among people of color. You can't be serious by even nominating him for this, can you? On what basis?